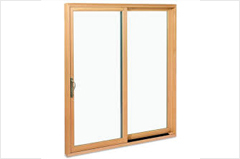 Low emission glass that has a low-emissivity coating applied to it in order to control heat transfer through windows. Windows manufactured with low E coatings typically cost about 10–15% more than regular windows, but they reduce energy loss by as much as 30–50%. Glass is one of the most popular and versatile building materials used today. One reason is because of its constantly improving solar and thermal performance. And one way this performance is achieved is through the use of passive and solar control low-e coatings. When heat or light energy is absorbed by glass it is either shifted away by moving air or reradiated by the glass surface. The ability of a material to radiate energy is known as emissivity. In general, highly reflective materials have a low emissivity and dull darker colored materials have a high emissivity. All materials, including windows, radiate heat in the form of long-wave, infrared energy depending on the emissivity and temperature of their surfaces. 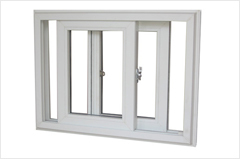 Radiant energy is one of the important ways heat transfer occurs with windows. 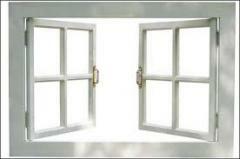 Reducing the emissivity of one or more of the window glass surfaces improves a window’s insulating properties. Low-e glass has a microscopically thin, transparent coating – it is much thinner than a human hair – that reflects long-wave infrared energy (or heat). Some low-e also reflect significant amounts of short-wave solar infrared energy. 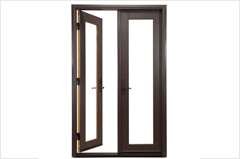 When the interior heat energy tries to escape to the colder outside during the winter, the low-e coating reflects the heat back to the inside, reducing the radiant heat loss through the glass. The reverse happens during the summer time. To use a simple analogy, low-e glass works the same way a thermos does. A thermos has a silver lining, which reflects the temperature of the drink it contains back in. The temperature is maintained because of the constant reflection that occurs, as well as the insulating benefits that the air space provides between the inner and outer shells of the thermos … similar to an insulating glass unit. 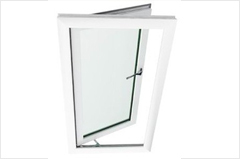 Since low-e glass is comprised of extremely thin layers of silver or other low emissivity materials, the same theory applies. 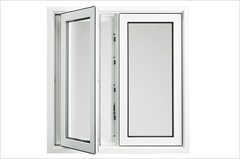 The silver low-e coating reflects the interior temperatures back inside, keeping the room warm or cold. There are actually two different types of low-e coatings: passive low-e coatings and solar control low-e coatings. Most passive low-e coatings, are manufactured using the pyrolytic process – the coating is applied to the glass ribbon while it is being produced on the float line, the coating then “fuses” to the hot glass surface, creating a strong bond, or “hard-coat” that is very durable during fabrication. Finally, the glass is cut into stock sheets of various sizes for shipment to fabricators. Passive low-e coatings are good for very cold climates because they allow some of the sun’s short-wave infrared energy to pass through and help heat the building during the winter, but still reflect the interior long-wave heat energy back inside. Most solar control low-e coatings are manufactured using the MSVD process – the coating is applied off-line to pre-cut glass in a vacuum chamber at room temperature. This coating, sometimes referred to as a “soft-coat,” needs to be sealed in an IG or laminated unit and has lower emissivity and superior solar control performance. That being said, the best performing solar control coatings are MSVD and are ideal for mild to hot climates that are more dominated by air conditioning use in commercial buildings. 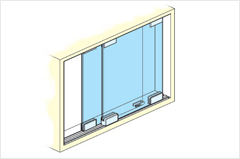 Low-E coatings are applied to the various surfaces of insulating glass units. 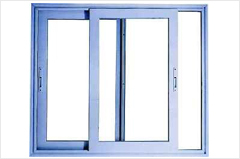 In a standard double panel IG there are four potential coating surfaces to which they can be applied: the first (#1) surface faces outdoors, the second (#2) and third (#3) surfaces face each other inside the insulating glass unit and are separated by an airspace and an insulating spacer, and the fourth (#4) surface faces directly indoors.